Or the day after Thanksgiving, actually. We hope you who celebrate had a wonderful time yesterday with friends and family (not reading blogs, like this one). We did, and among the things we have to be thankful for, our wonderful readers are at the top of the list. Today, we released another new chapter from Apollyon’s Gambit, our sixteenth so far. We’re happy with the progress we’ve made this month, and we have a clear road-map to completion. We’ll post more about that later. Enjoy your weekend and, for those of you who subscribe, the newest chapter. Now through Sunday, 32 authors are offering their books for free or or $0.99! Check out http://freebookblast.com and beat the doldrums with some new summer reading! With over 40 books from many genres, you’ll be sure to find something you like! The Morning which Breaks is on sale for $0.99 until Monday, so don’t miss it if you haven’t read it already. 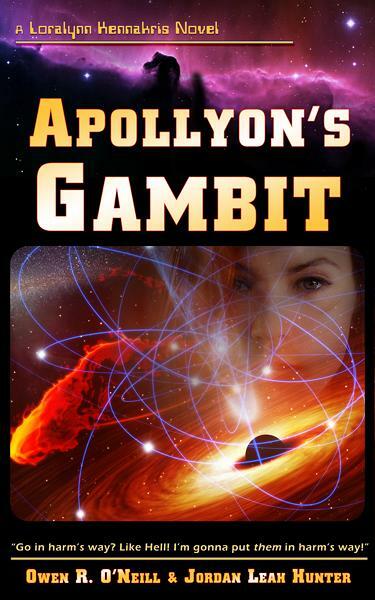 We also released another new chapter of Apollyon’s Gambit today. We will continue to do so until the book is placed on pre-order. Join our email list to receive these chapters and other upcoming goodies! We appreciate your interest! The ninth new chapter of our fourth book went out last weekend to newsletter subscribers. Sign up if you haven’t to join in the fun. Life has intervened here with another necessary foray into “Code Hell”. Thus, writing has been slow this past week, and will continue slow through the weekend. Next week, we should be back on track. At present, the draft is approaching 140,000 words. And this site will be getting a tweak or two in the not too distant future. If there is anything you’d like to see added, sound off in the comments. Two more chapters & a big Thank You! First things, first: We had a much better month in July than we expected. Things naturally slow down around this time, and we lower our expectation to match. But July surprised us. More people are reading (and apparently enjoying) the series than we knew. So here’s a big Thank You to all our readers! We will strive to continue to be worthy of your support! We sent out our latest newsletter yesterday, with two chapters this time, as small celebration. We’ll have another one ready this coming weekend. In the meantime, is there anything else you’d like us to address here? Neither of us have cats, so I’m afraid cute kitten pictures are out, but sound off in the comments with your thoughts. Sorry for the radio silence! Yes, new chapters await! Yes, we’ve had a short spate of radio silence here. But we did send out another new chapter last weekend, and we will do the same this weekend! Thanks for everyone who has been following along with Kris on her new adventures! For those of you who like to keep track of such things, Apollyon’s Gambit is now at 134,000 words, which equates to about 420 pages in paperback. And yes, we are also working the novella or short novel (“Absalom’s Hundred”), and we’ll have more on that in the not-too-far future. For the time being, we are concentrating on Apollyon’s Gambit. Heartfelt gratitude to each and every one of you! Our second newsletter went out last night. So far, we’ve released the prologue and two chapters of our upcoming book to subscribers. So join now to get in on the fun! It’s fast, easy and secure. And don’t worry: we’ll get you caught up! We did it! We finally have a mailing list set up! Subscribe to receive free sample chapters of upcoming books, progress updates, and other fun things as they become available! Right now, we are planning to distribute the free samples as PDFs. Those are easier for us to deal with. If you prefer Kindle format (mobi), sound off in the comments. If PDF is good for you, tell us that too! We’ve elected to use MailChimp for this service, and your contact info will be protected. So sign up and enjoy! Today we announce the fourth book in the Loralynn Kennakris series! * Enjoy the sample chapter below! Want more sample chapters? How do you feel about mailing lists? Sound off in the comments! The war has flared up again, and Senior Lieutenant Loralynn Kennakris is thoroughly pissed off. On the walking-wounded list with a paralyzed arm and unable to fly, her superiors have decided to give her a meaningless promotion and send her off with a diplomatic mission to Iona. For years, tensions have been ramping up between the Nereidian League and its increasingly powerful former colony. It’s the diplomat’s job to defuse them before they explode. Kris’s job is to act as the mission’s ‘military advisor’—which really means looking decorative, fetching coffee, and keeping her mouth shut.